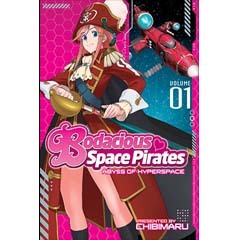 Bodacious Space Pirates: Abyss of Hyperspace is a two-part manga adaption of a feature-length anime film of the same title, which launched in Japan in 2014. This manga series includes dynamic artwork, color inserts, an interview with the film's director, along with ship schematics, and character designs. Kato Marika is an ambitious seventeen-year-old student who is the president of the school's Space Yacht Club. Full of pep and enthusiasm, Marika takes charge, even if membership in the club is flagging. Her true calling, however, is something a bit more daring. 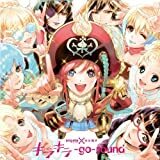 For in her spare time, the spunky teen moonlights as the captain of the Bentenmaru, an infamous ship full of rough and tumble space pirates who strike fear and delight in the hearts of many!